Enjoy outdoor grilled flavor anytime you want, regardless of the weather. 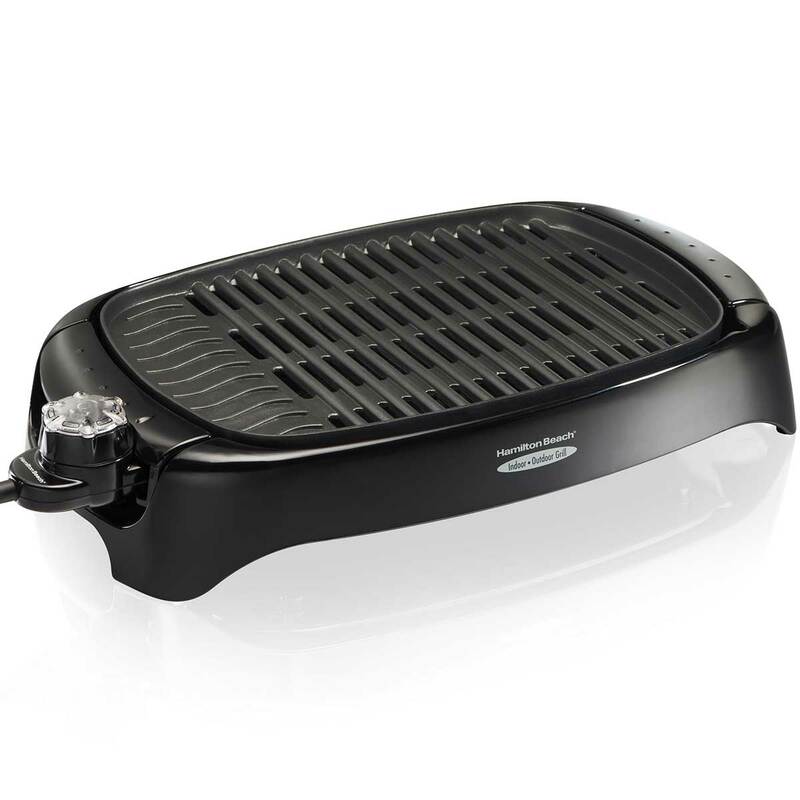 The Hamilton Beach Indoor/Outdoor grill is designed to create less smoke and less mess while you prepare your favorite foods. 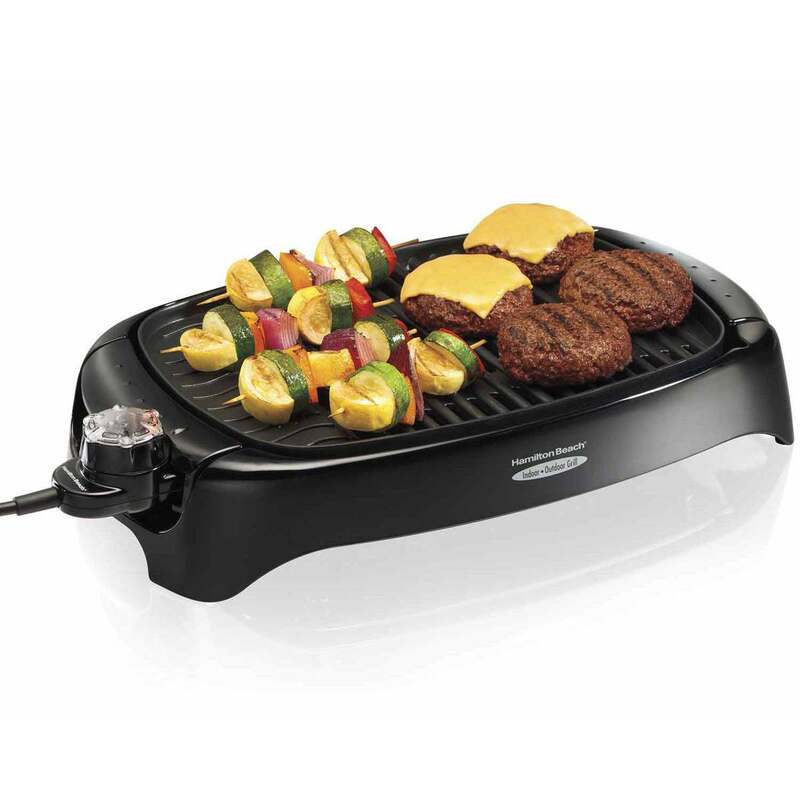 The grill’s high heat quickly seals in the juices of the foods, enhancing the flavor of dishes both hearty and healthy like steaks, burgers, fish, lean meats and vegetables. Cleanup is easy, since the base and grill plate can be washed in the dishwasher with the power cord removed. Just by simply adding one cup of water to the grill’s base located below the cooking surface helps reduce smoke during grilling. 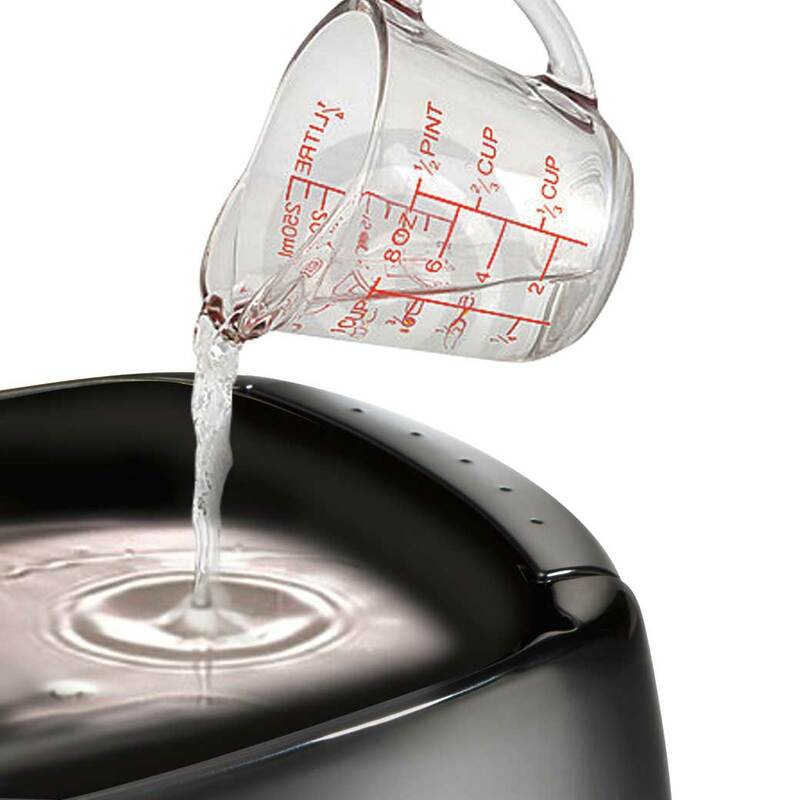 Oils and juices from your food drip into the water and cools, rather than burning. When grilling foods higher in fat, drippings fall into the water below instead of getting baked on, making cleaning easier. 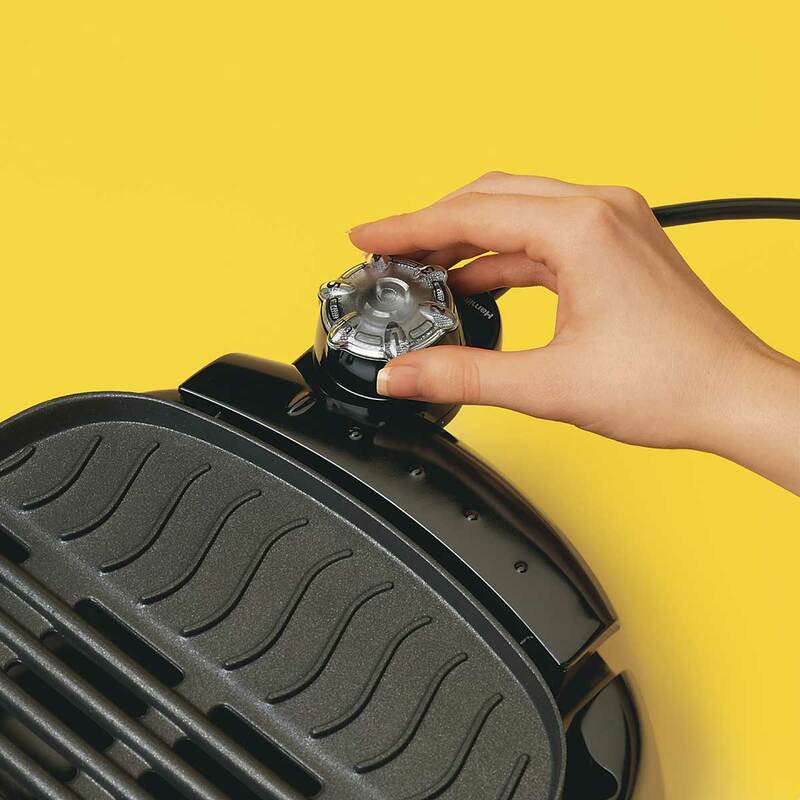 With the power cord removed, the grid and base are dishwasher safe. Cooking foods like steak and burgers on high heat seals in the flavor, producing better results. The 125 square inch nonstick surface offers plenty of room for chicken, veggies, lean meats, fish and more.